It was heralded as leader from its inception, and today the Klimax DS still holds its position of being the world’s best streamer. The Klimax was later updated to DS/1 status with a new circuitboard and power supply, but tested here is the original DS/0 version. The Klimax DS isn’t new. It has been around for years now, and ever since I have tried to get hold of a review sample. 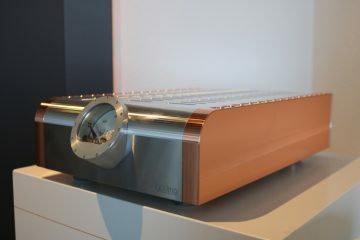 The Netherlands no longer have a distributor for Linn and there are very few dealers that carry the Klimax. Naturally I tried other paths but the one approachable Linn dealer I found couldn’t help me and Linn UK never even responded. My curiosity didn’t lessen though, and so I proceeded to searching for a relatively affordable second hand specimen of the Klimax DS/0. Eventually, I succeeded and so, finally here is my review! This review is extra interesting because the Klimax DS will be compared directly to that other big name in streaming audio, the PS Audio PWD. But before I go there, I need to torture you a bit with some technical issues that I experienced after initial connection of the Klimax DS. 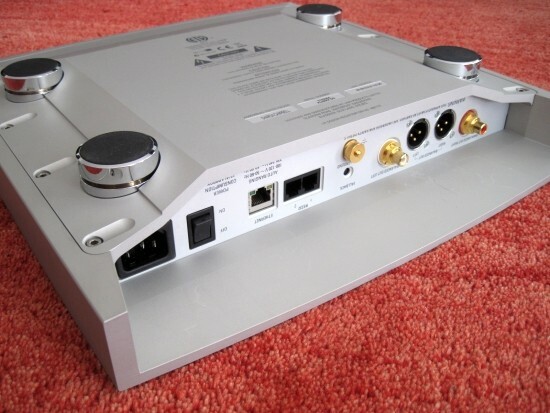 The PS Audio was the first serious UPnP streamer that I tried and it gave me lots of headaches trying to figure out why it kept losing its connection with the NAS and iPhone. Eventually I learned that it was wise to keep audiodevices on fixed IP adresses and to make sure that the firewall is correctly configured. Still, to date I can’t quite get rid of these troubles entirely, with the PWD still intermittently losing connection with the NAS after it has just been rebooted, or connection to the network has been severed for a prolonged time. After the PWD dust had settled, I began reviewing other streamers and I found that the network problems I was experiencing weren’t unique to the PWD. At some point I thought it fair to assume that it must be my network or NAS or even my knowledge of networking. But then along came some devices that worked like a charm from the get go, such as the Naim Uniti and Unitiqute. These streamers operated in a rock-solid manner. Not once did they lose connection to either the NAS or iPad. 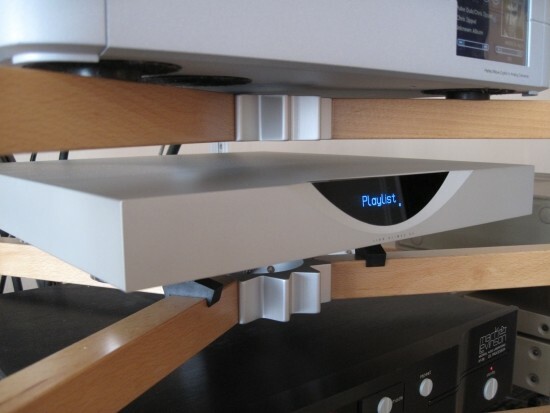 Initial setup with the Linn was also troublesome, but in an entirely different manner. Don’t worry: I won’t carry on talking about this for pages and pages, like I did for the PWD, instead, I’ll boil it down nicely, so we can quickly proceed to its sound, because believe you me: it sounds fantastic! But first, back to my setup troubles. Upon connecting it to the power and network for the first time, its display only showed a flashing dot. I later learned that this meant that it couldn’t get an IP address via DHCP. You see, the Klimax DS doesn’t do anything before it has aquired a valid IP adress. There seemed to be no way to check its settings: it wouldn’t respond to IR remote control commands, wasn’t visible on IP scanners I had on the iPhone and iPad or in iPad control apps like PlugPlayer, eLyric or Linn’s own Kinsky or even Linn GUI or Kinsky Desktop for the PC. But there was a way in after all, by means of Linn Konfig, a utility with which you can, you guessed it, configurate the Linn streamers. But even in Konfig the Klimax didn’t show up. All I saw was the NAS. Then I discovered a small button at the rear of the Klimax, labelled Fallback. Wooooo, what would it do? After some initial fear of messing up any important settings I assumed it was some sort of reset button, and just pressed it. Presto: the Klimax showed up in Konfig and I could see its IP address. In the IP scanners, too. Konfig showed its IP address and firmware version and offered a range of options to choose from such as Reboot, Restore defaults, Reflash and Firmware update. One after the other I tried the options and even went as far as to install new firmware but every time that Konfig restarted the Klimax, it disappeared from the list and its display defaulted once again to showing a flashing dot. To date I haven’t found out just why the Klimax is visible in Konfig when in Fallback mode, but disappears right after it has been restarted. I spent hours and hours fiddling with network cables and resetting the Klimax countless times. Needless to say, I also tried various ethernet cables (of which I know for a fact that they do work with other streamers) into various positions in the switch, as well as directly into the main router but nothing seemed to matter. Maybe it was just time passing or that I found the magic combination but at some point the next day, once again after a range of restarts via Konfig, its display showed something else than a flashing dot and all of a sudden, it did work. Incidentally, I had the same problem again after swapping power cords, but luckily the Klimax came back after Linn customer service informed me that a workaround is to switch off the Klimax, switch off the router, wait for a few minutes, then turn on the router, wait, and then switch on the Klimax. Sure enough: within 10 seconds or so, the Klimax woke up. Luckily, this concludes the technical issues I had with it. After this, everything worked smoothly and solidly. Unlike the PWD, the Klimax didn’t lose connection to the NAS or controller even once. In later cases where I disconnected the powercord, the DS always came right back. Cold from the box, unoptimised and with standard powercord, the Linn surprised me with its super-smooth, velvety sound. What happened to the clean and dry, matter-of-fact sound that I came to associate with the Linn House Sound? Not present in the Klimax DS. 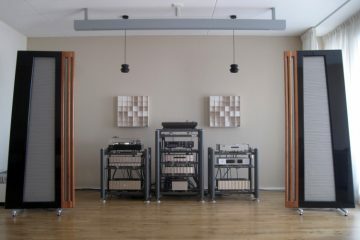 I base my prejudices on experiences with various Linn components but have to admit that I haven’t had many in my system. The most notable was the Unidisk 1.1, which I found to be impressively accurate, rhythmic and articulate, but rather dry and not very involving. How different the Klimax DS is! During my first hours with it I was almost in a state of disbelief for its creamy smoothness and I played many, many songs, until it started to become clear that everything I played had this sameyness about it, all music sounded creamy and at some point, this luxuriousness became tiresome and I started to long for a more powerful delivery. That’s when I realised that all this time I had been listening to the Klimax DS with my trusty Transparent Ultra XLR cables in place and although these cables almost always work very well, some components I had over for a visit were less happy with them. And so the cable swapping began. At first I tried the Klimax with its supplied standard powercord and the XLR interlinks I always use: Transparent Ultra XL. But because I knew from experience that not all source components like the “network” boxes on the interlink cables, I swapped to relatively affordable Cardas Quadlink 5C. The Accuphase DP400 for example sounded decidedly undynamic and restrained with this cable while my Levinson components are happy as a camper with this cable. It’s probably to do with the output stage and its capability to drive low-ish impedances. But let’s get back to the Klimax, now connected with Cardas Quadlink 5C. Now here’s a difference you could call night and day! All of a sudden the sound opened up, the bass snapped into focus and became very articulate, the midrange went from creamy smooth to utterly natural and luckily the treble remained smooth, fluid and extended. In retrospect, the Klimax DS now reminded me of how the Unidisk 1.1 had sounded, minus its dryness. 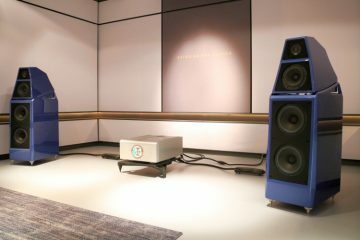 Again I played for hours at end, marvelling at the Linn’s extremely finely layered soundstage, its subtle microdetailing and the free-flowing soundstage that filled the room in an entirely inoffensive manner. Just like with Jeff Rowland components, you hear everything, the smallest whispers, and decay seems eternal, but this enormous amount of detail never makes the music tip over into agression or forwardness. Dynamics are impressive, not in a “blown out of your seat” kind of way, but again much like in the case of Jeff Rowland, not as much in macrodynamics but in microdynamics. The Linn seems to have super high resolution, sometimes making 44khz files sounding like 96khz. Don’t think for a moment that the Linn is compressed or undynamic though, as this really isn’t the case. Rather the Linn is quiet when the music needs it to be and loud when the music needs it to be. It isn’t in constant shouting mode, like some other components that initially sound impressive but grow tiresome after a while. Like the Rowlands, the Linn is always polite and well-behaved. 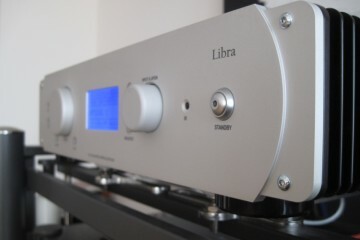 But also like the Rowlands, the Linn can be a little too reticent in the bass. Now, regular readers know that I love my bass and I have admitted on various occasions that the players that I like a lot, often have bigger bass than most other players. So this has to be seen a a relative something. 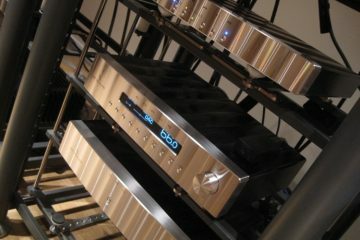 But compared to the PS Audio PWD and the Levinson 390S, the Linn’s bass seems a little underpowered. Mind you, it isn’t exactly lacking bass and the Klimax DS’ bass actually goes deep and is both smooth and articulate, but it can lack some drive and body in comparison. This is the same for many Rowland components I have and have tried. And just like with the Rowlands, you just need to apply some TLC (tender love and care) in optimising the circumstances for the Linn. While the Quadlink matched nicely with the Klimax, it also took away a big portion of the smooth creamyness as well as making the Linn sound a litttle too much “Linn” for my taste. Depending on your stance you could also call it very neutral, but me, I like some more fullness, more meat on the bones so to say. So in came the Cardas Hexlink Golden 5C. A mounthful, but a cable to be reckoned with as it was the brand’s previous best cable, followed later by the Colden Cross and Golden Reference. The funny thing about Cardas cables is the difference between them. Golden Cross and Golden Reference actually sound a lot alike: smooth, creamy, a little rounded. Quadlink is very different, much tighter and drier. Hexlink is like a mixture: neither dry or lacking meat on the bones nor overly smooth and creamy. It was the Hexlink that paired best with the DS. It had the best bass, now fuller and more forceful than with the other two cables, but it also fleshed out the midrange, making it more solid and more real. The treble now was definitely drier and overall the DS sounded less smooth, but overall this felt like the best match thus far. I have yet to try out Cardas Golden Reference interlinks. Before I found them too full and creamy, and too shut in compared to the Transparent Ultra XL’s, but because the Klimax is so very open and detailed, maybe the Golden Reference will be the ultimate match. Once I have carried out this test, this section will be updated. While the standard powecable was far from bad, surely there should be room for improvement, it being a stock cable. The DS didn’t leave me a whole lot of options because due to the recessed space that the connector is in, space is tight, and really only standard connectors would fit. Not Furutech or IeGO. So I tried it with NBS Dragon/Fly, some home made cables and eventually a CP-audio Harmonic with modified IEC connector. The lattter turned out to match best, lending maximum bass fullness, body and colour to the DS, while also re-instilling some of the smoothness that was lost when switching to the Hexlink. An additional amount of smootness was gained by moving the power cable’s position further down the extensionblock. At first I had listened to the Klimax with standard powercord in position 1 of the extensionblock, but once the Transparent Ultra XL interlink was swapped for the Cardas, the Klimax became a little too matter-of-fact, a little too honest and neutral for my taste, making less than perfect recordings sound, well, less than perfect. On that note: the Klimax isn’t a slasher either, it won’t make bad recordings sound good, but neither will it exaggerate their flaws. It’s just that my Levinsons are fuller sounding and also more forgiving, and this is a welcome trait in my system, the Magepans sometime laying bare a little bit too much of the recording. This is why I tend to prefer full sounding components in my system. The PWD is a different animal. 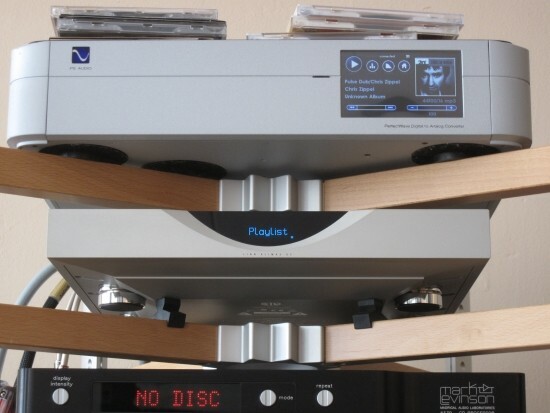 Where the PWD resembles a Wadia 861 for its solidity and bass power, the Linn more resembles the Accuphase DP400 CD player I had on visit for a short while, but with better alround refinement, more fluidity and better low level detailing. The PWD can be dry, much more so than the DS and also the PWD has a definite ceiling in the treble, where the response subjectively just stops. Graphs tell me that this isn’t so, but it sounds like it. Let me stress again that I’m not talking about upper midrange or lower treble; I’m talking about the air that’s often present when playing an analog record. 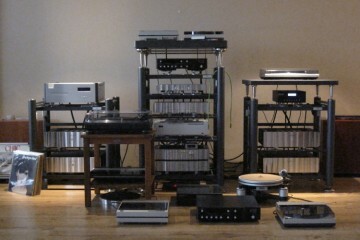 My Levinsons have it and the Linn has it, the PWD does not. In addition, the PWD is brittle in the treble, it lacks fluidity and smoothness. How different the DS is! But there is one area in which the PWD beats the DS and that’s boogie factor. This is different to PRAT because the DS is very rhythmic, but it doesn’t have the fullness of tone in the lower registers, nor the drive and sheer power of bass that the PWD has. Mind you, the DS isn’t thin, far from it, there are just players with bigger bass and (for me) better boogie factor. I find that the DS is best when playing complicated or acoustical music, or subtle, emotional music with good vocals. It just lets you hear deeper into the mix, without tipping over into clinicality or dryness. When playing disco, house or rock I find that the PWD sounds more involving due to its more powerful delivery. But with the PWD I always notice the treble dryness and this often takes the joy away after a track or two. There’s now a MK2 update for the PWD which I will install in a few months, hopefully this will bring the PWD closer to the DS in terms of treble performance. Unlike with the PWD, deciding which is better is not up to the music style but it is very much recording-dependent. The Levinson is just much more forgiving of dry/anaytical/thin recordings than the DS is. But the Levinson doesn’t have the DS’s low level detailing nor its capability to let you hear subtle rhythmic nuances and finally it is less well-articulated in the bass. 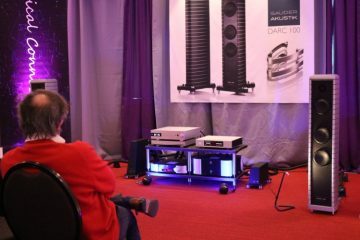 The Levinson is however endowed with bigger, beefier bass and a more glorious and rich midrange. It has a more luxurious feeling, even though it seems a bit laid back compared to the DS. While some friends that have come over have a definite preference for one or the other, I find that I love both players for what they’re good at. One doesn’t make me want to sell the other and luckily I can just keep them both in the rack. 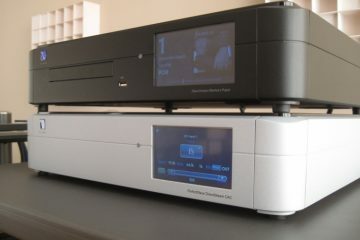 The DS, together with the Naim streamers, is a joy to operate. Initial connection issues aside, it works solidly and dependably and it operates like a dream. Unlike the PWD, there’s full infrared control, which works well if you don’t want to bother with picking up the ipad but if you do, and you’ve installed the Kinsky app, you’re rewarded with super-functionality, just like with eLyric and the PWD. Incidentally, the DS also works with eLyric and vice versa. But I like to keep things separate. eLyric may have the extra of displaying extra artist info that it gathers from the net automatically (as long as the tracks have tags) but otherwise Kinsky is just as well endowed. While the PWD was previously the only streamer with track seek capability, this is also possible with the DS, in both eLyric and Kinsky. 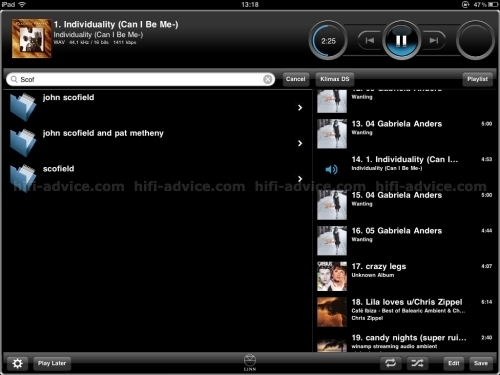 One extra that Kinsky offers is a search function for your music files. It only searches the currently selected directory but does it thoroughly: for example, it will find Manhattan Transfer if you type “trans”. This is something eLyric doesn’t do, nor does any other remote utility do, as far as I know. The only feature that I would want, and this is probably more to do with the DS itself than the Kinsky app, is the ability to auto-cue tracks randomly, just like winamp can if you use the Wincue plugin. I find that I really like to just let the unit find its own music randomly, only interrupted by me when I hear something that I like which prompts me to go and find more of the same to cue in the playlist. Like the DS, the PWD also offers a login via any browser and this allows you to see playing status, filename and file format and such, but the DS lets you go that much further by offering two utilities for controlling the DS. 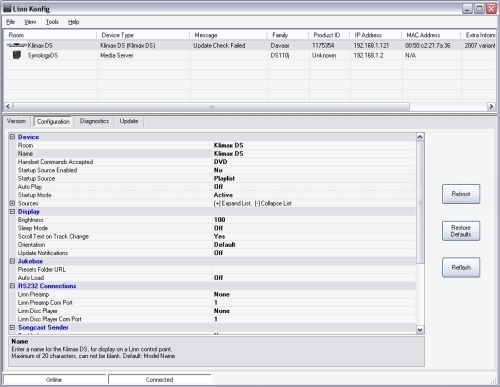 First, there is Konfig, which lets you configurate the DS. You can specify default power state, display behaviour, DVD/CD infrared mode commands, the name it displays in remote utilities such as Kinsky on the ipad, volume control enabling and much more. It also permits you to reboot the unit, restore default settings and lets you run diagnostic tests and upgrade firmware. Then there is Kinsky desktop. 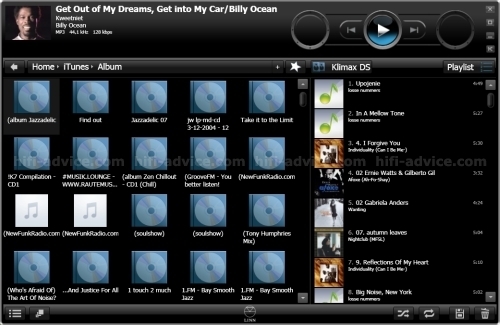 This utility does to much to explain here, but in simple terms it lets you browse your music library and play back music on the Klimax DS, but with the experience you would have when playing back music on the computer in iTunes or Winamp. It feels like you’re playing directly on the computer; control is just that snappy, but you’re actually sending commands to NAS and DS. I suppose I could tell pages more about the DS and how it compares to other components I have, but I’m trying to be more brief these days:-) Besides, what more can I say than that the Klimax DS most likely is indeed the world’s best streamer? Sure, even at this level there is the deceptive matter of taste. 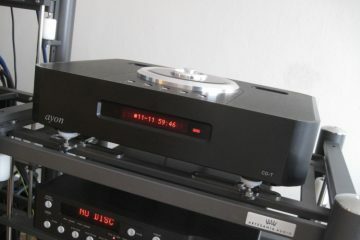 The PS Audio PWD has a more solid sound with fuller bass and a more “live” character and there are CD players that have a more romantic sound or a more forgiving nature such as the Levinson no.390S but the latter can’t match the Linn’s low level resolution nor its neutrality or highly sophisticated refinement. 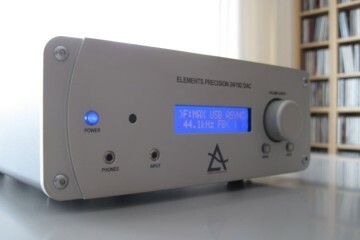 Even when taking taste and the need for a forgiving nature to cater for badly produced recordings into account I can honestly say that I haven’t heard a streamer that is allround better than the Klimax DS. Even with the PWD’s stronger character, I still rarely listen to music on it unless it is for comparisons. So, the DS is staying. 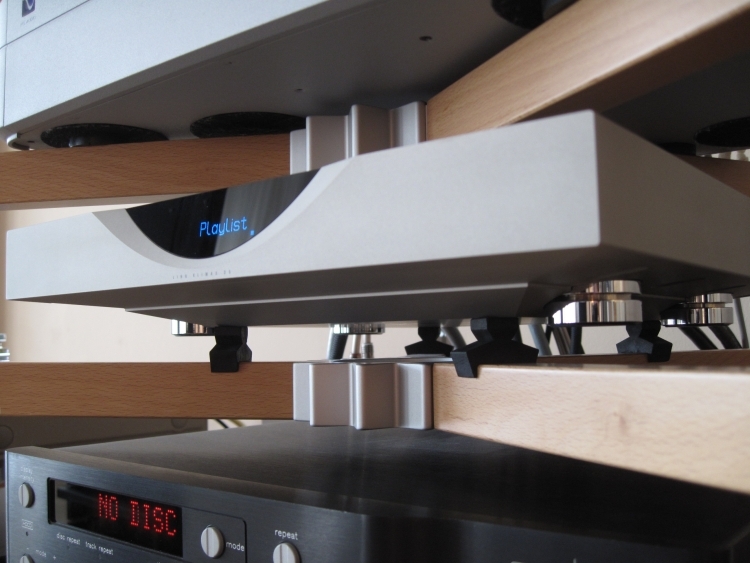 At least until it is bettered by something else… which will most likely be Linn’s own MKII version of the Klimax DS. But before this unit is available second hand, at an affordable second hand price, we’re probably talking years down the line. So my advice is to buy a second hand DS if you can find one. You won’t regret it! 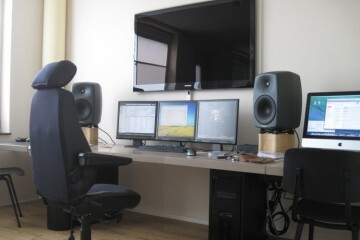 MKII upgrade installed in PS Audio PWD, which has really transformed the PWD. Therefore, a new comparison between this updated streamer and the Klimax DS is due. This is already detailed in the MKII review, but there will also be a super review of various streamers versus various CD players in which I will try to find the best player, be it a streamer or a cd player. 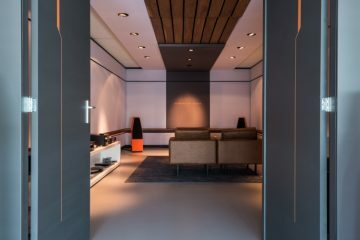 Next Why do high end speakers demand high end equipment?